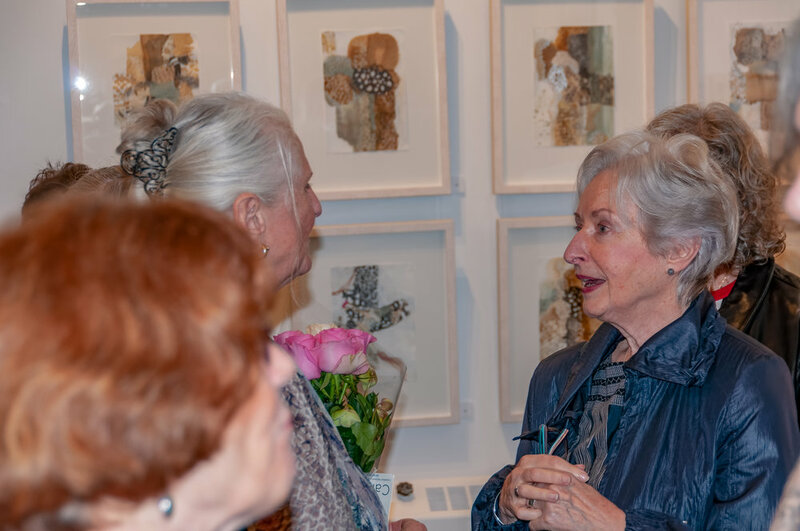 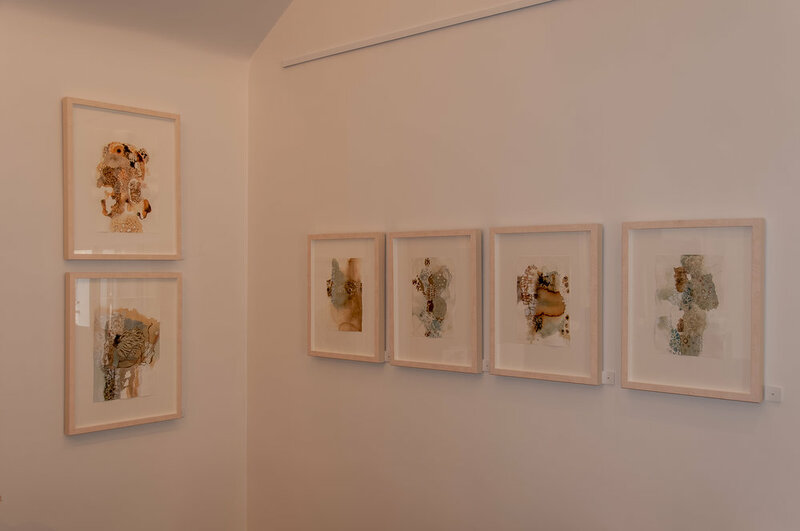 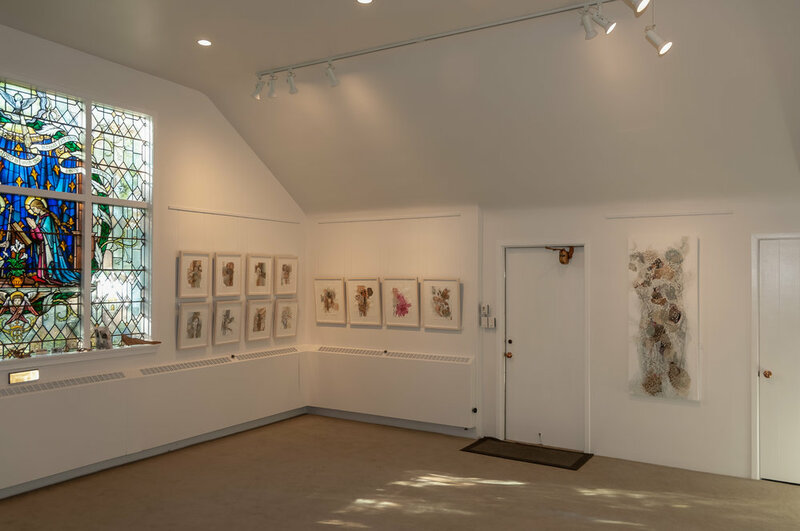 “SeaForms: The Nature of Creation”, a solo show of mixed media collage works by Jill Ehlert, was curated by Victoria artist and Chapel Gallery curator Nicky Rendell. 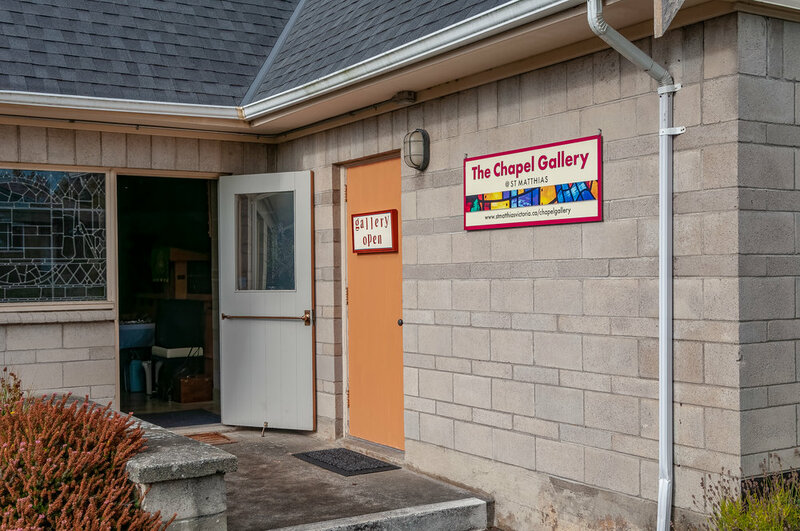 This exhibition was the inaugural show for The Chapel Gallery, located at St. Matthias Anglican Church. 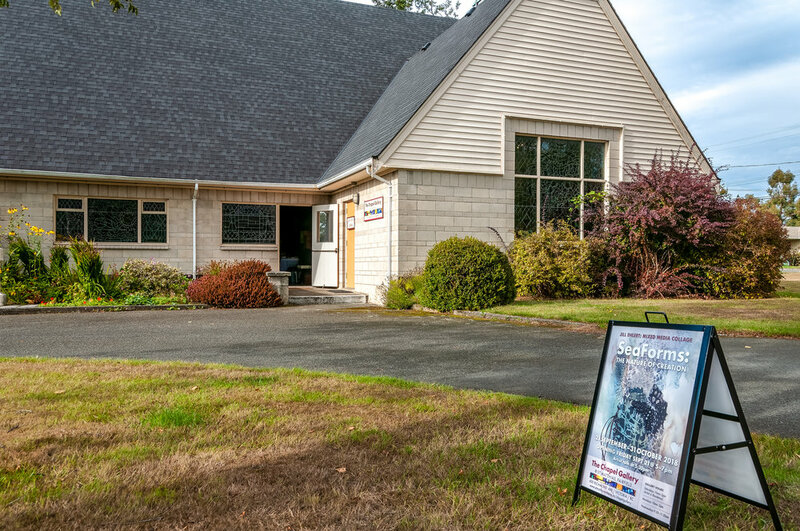 600 Richmond Ave. Victoria, BC. 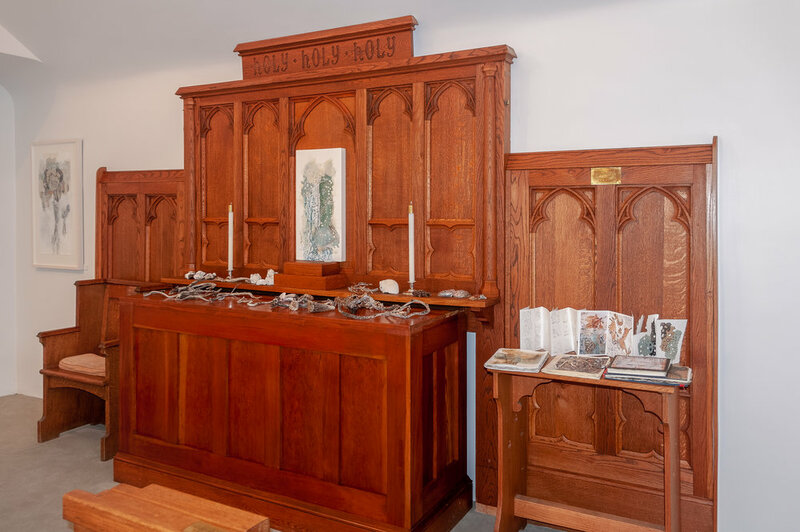 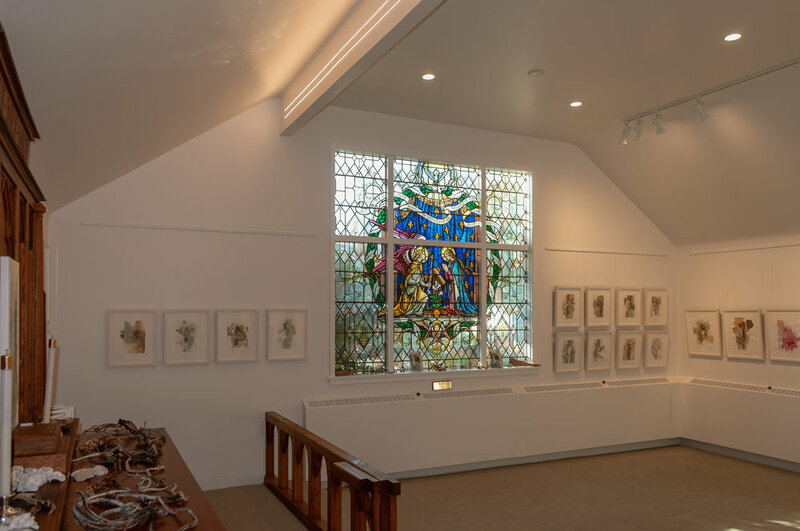 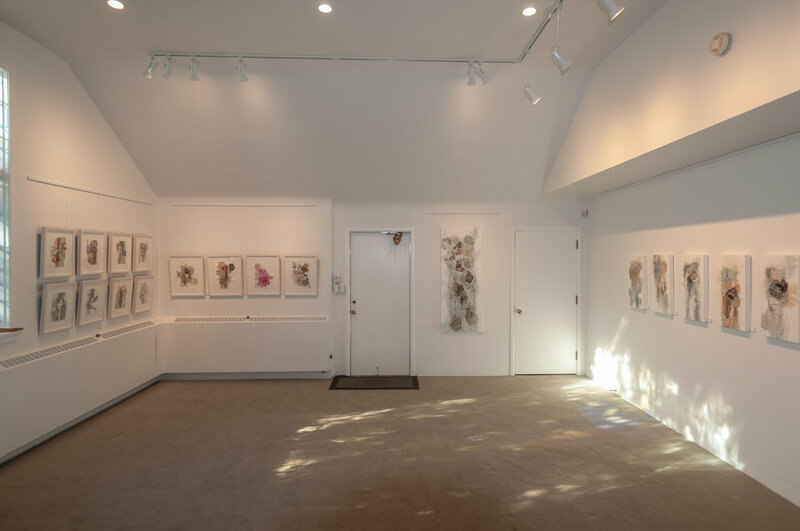 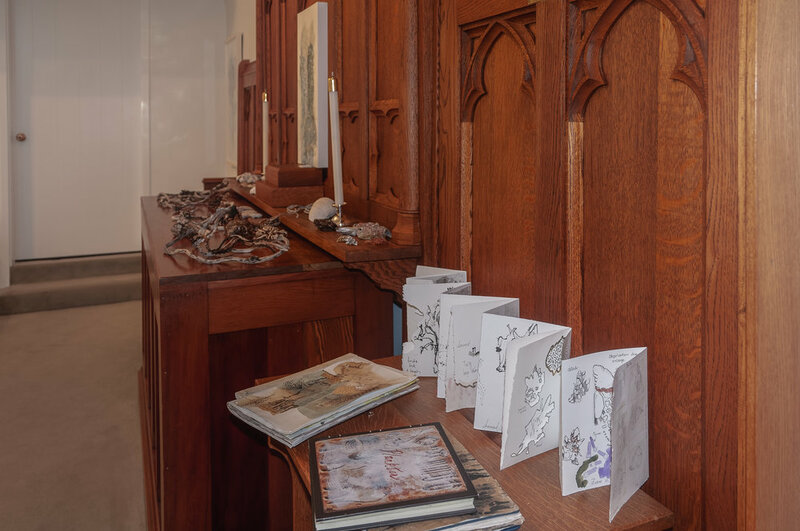 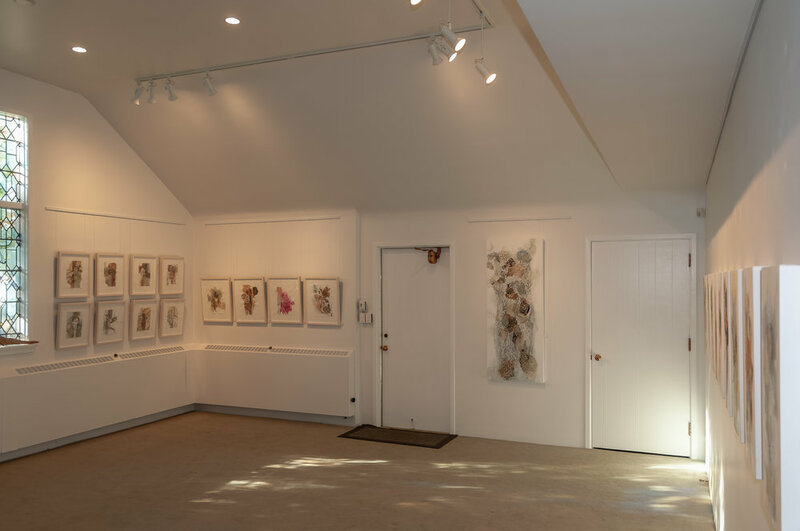 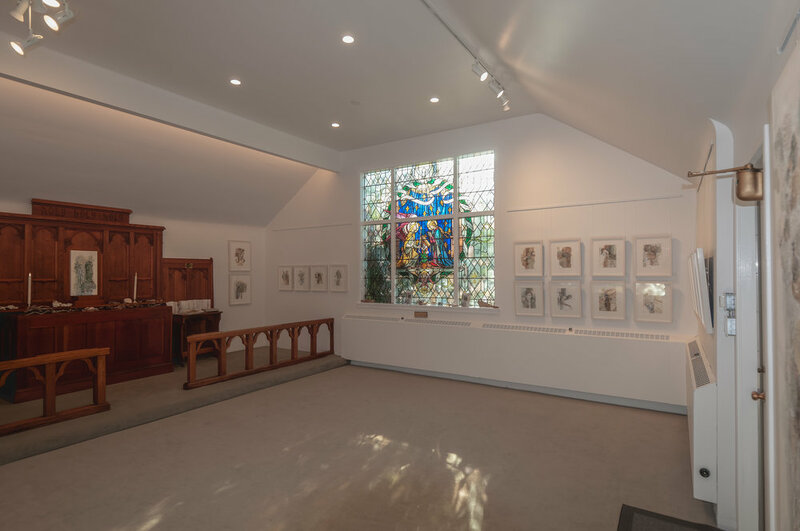 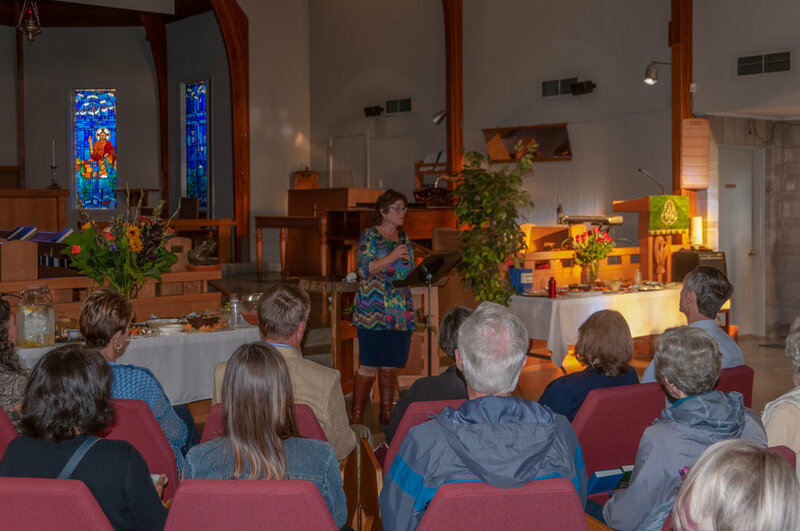 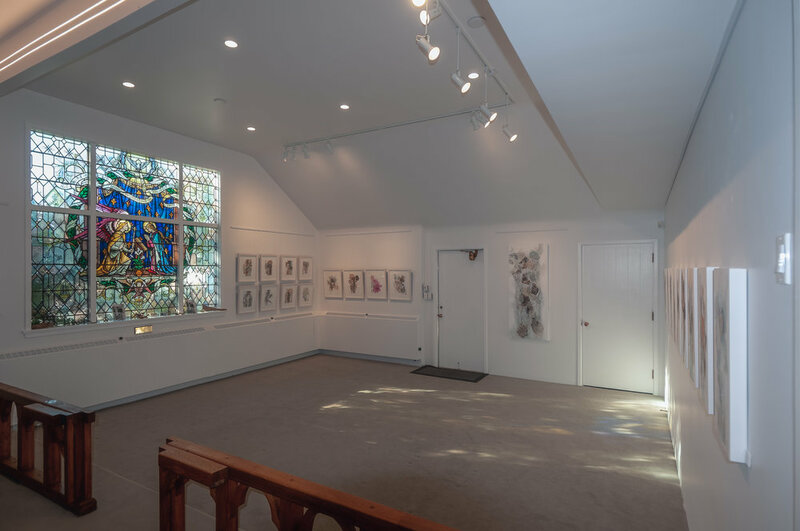 The Chapel Gallery is a multifunctional, not-for-profit, art space created to invite the local arts community to exhibit a variety of visual art mediums and particularly invites works of a socially relevant, contemplative, and reflective nature. 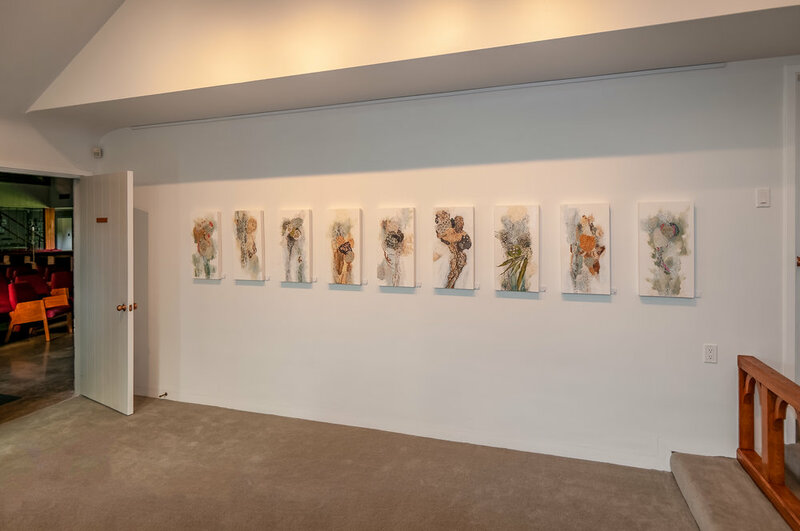 Click here: for Exhibition and submission guidelines. 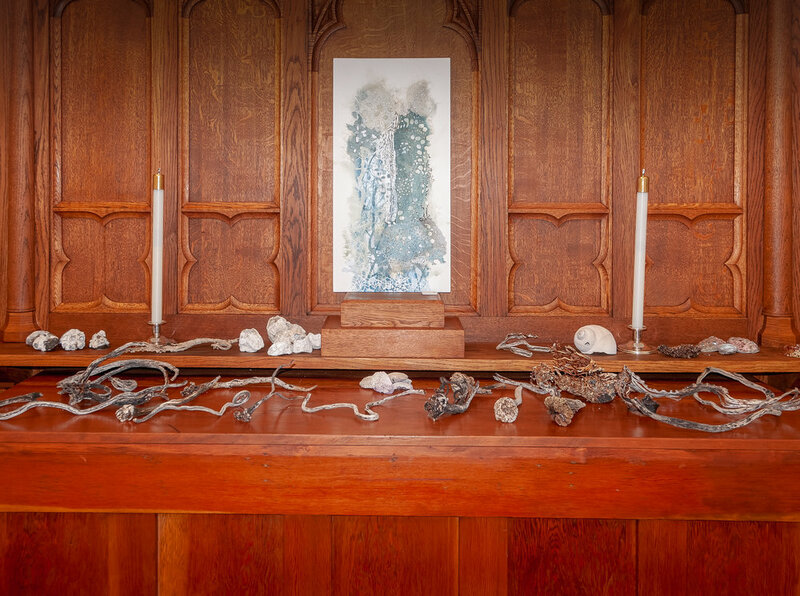 All photographs on this page by Paul B. Peters. 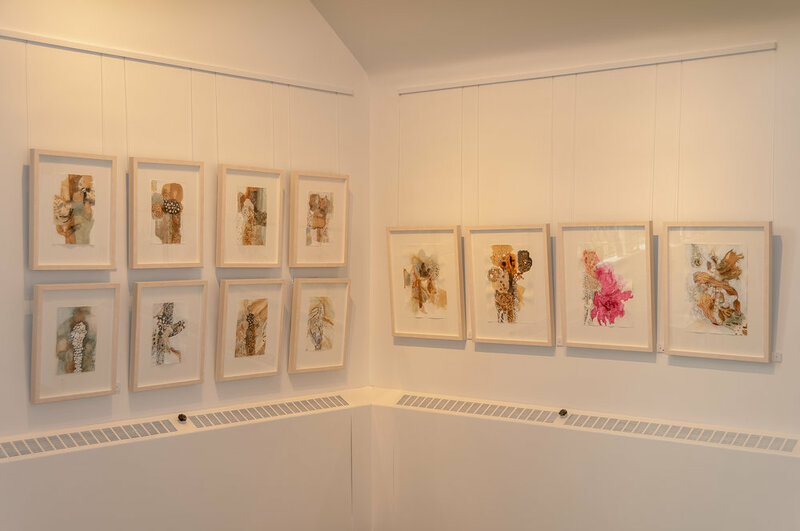 One of the mixed media collages in the show.